In late August 1801, a fleet of British frigates set out from the port of Aboukir in Egypt. They were carrying the tattered remnants of the French Grande Armée, abandoned two years earlier by their commander, Napoleon Bonaparte, to fight on without much hope in Egypt, and at last given passage back to France by the treaty concluded with England and the Ottoman Porte. One night, just a few days into the crossing, a tragic scene unfolded on board one of these ships, a frigate named the Pallas. According to a letter conserved among the papers of the Commission d'Égypte, Ya'qub Hanna, an Egyptian Copt and the first non-French general in the French army, lay dying among the women of his family, watched by a grief-stricken crowd of men, women, and children. Although they had boarded the Pallas in Alexandria, they drew their origins from all over the Middle East, from Egypt, Syria, and even farther afield. They came from Georgia and the Caucasus, from Greece and Asia Minor, from southern Egypt and the Sudan, from Palestine and Mount Lebanon, from the Mediterranean cities of North Africa and from the great metropolis of Cairo. Their social origins were just as disparate: merchants and customs officials jumbled together with priests and artisans, soldiers and domestic servants. Most shared little beyond the Arabic language and an origin in the Islamicate society of the Ottoman lands. Their only other commonality was their decision to join the emigration to France led by General Ya'qub, now mortally ill.
would want to capture at once the group as a whole, and the details of the different moral sentiments that animated the onlookers. The variety of feelings can only be imagined-those of the English, the French, the Turks, the Copts, the Greeks, even a number of Italians. Their prayers opened the vault of the heavens for the dying man. Imagine then the despair of his mother, and his sisters, the tears of the beautiful Circassians and Georgians, the shouts of the Coptic and Turkish women, and the innocent composure of a child, his only daughter, still too young to comprehend her loss. Even heaven seemed to want to play its part in the mournful scene, with its far-off thunder and its flashes of lightning. General Ya'qub died during the night. His final wish, Nemir wrote, was to be buried alongside his friend General Desaix. Ya'qub was a wealthy man and had contributed generously to Desaix's funeral monument in Paris; now he hoped to share it. Perhaps he hoped too that such a public recognition of French and Egyptian friendship would help assure a welcome in France for the people who had accompanied him. He had every reason to fear for their welfare. Most of them hardly spoke French, and they had little experience of life in Europe and no obvious means to support themselves and their families. But not all of them were unschooled in French manners, as Nemir's letter itself demonstrates. Nemir, who signed himself as the wakil, or agent, of the Légation d'Égypte, clearly understood the importance of sensibility and theatricality in postrevolutionary Europe, portraying a terrible and disruptive event as a moment of historic importance, redeeming loss or defeat through symbolism, much as contemporary history painters would do. Nemir was writing from the lazaret of Marseille, where he and his companions were serving the compulsory forty days of their quarantine. Nemir insisted above all that arrangements should be made quickly for the "more than one hundred young men-Turks, Copts, Greeks, Abyssinians," and their families, who were about to enter the city of Marseille-several hundred people in all. But the political stakes were just as high. The self-styled "Egyptian Legation" on whose behalf Nemir addressed the minister expected an immediate invitation to Paris for discussions about their political project and their status in France. As we will see, they would wait for almost a decade for the permission to travel to the capital. The "Egyptians" of General Ya'qub were poised to emerge into a different world. But we should take care not to indulge too readily the flights of imagination that this kind of "encounter" has tended to inspire. If French society was different in many ways from the Egypt these people had left behind, we should remember that the contrast between metropolitan and rural life in both France and Egypt was very stark in this period. Both societies contained a patchwork of regional cultures and dialects, with large cities still dependent for subsistence on the countryside, despite the beginnings of the industrial transformations that would have so great an impact later in the century. For an inhabitant of Cairo or Damascus, the city of Marseille would not have seemed so radically different, and, indeed, interconnections between these Mediterranean ports had existed for centuries. Paris, to be sure, as both a major metropolis and a cultural capital could perhaps be compared only to Istanbul among the cities of the Ottoman world. But even in Paris, as we shall see later, a limited Arab milieu was already in existence, in addition to a network of French officials who had served in the occupation of Egypt. But this brings us to a major difference that these people would have to negotiate: not so much between France and Egypt as between the France they had imagined and the France that greeted them. It was only three years after the revolutionary settlement of 1795 when the Directory sent an army into Egypt to install the French Republic and its radical principles on the farther shore of the Mediterranean. In the same year, they sent an army to Ireland: its failure was immediate, whereas that in Egypt-and largely, to be sure, as a result of its talented commander-took three years to disintegrate. But the principles with which they set out were nonetheless the same: a radical conception of liberty, equality, and fraternity whose echoes had already been felt across the region. In Egypt, and to a lesser extent in Palestine, 1798 brought a great rupture with the deeply corporate and traditional nature of Ottoman society, just as 1789 had done in France. Just as in Europe, these ideas attracted some and repelled others. At least some part of the emigration of 1801 must be attributed to the effects of these ideas. And those who saw France through such a lens must have received a very sharp shock when they arrived in Marseille in 1801. The Revolution was over. Napoleon, it seemed, had departed Egypt eager to seize in France the kind of absolute power he had exercised in Cairo. The "refugees from Egypt" would have to make a swift and radical change of mentality from one system of power to another, just as they had done when the French took power in Cairo in 1798. Many think of Muslims in Europe as a twentieth century phenomenon, but this book brings to life a lost community of Arabs who lived through war, revolution, and empire in early nineteenth century France. Ian Coller uncovers the surprising story of the several hundred men, women, and children—Egyptians, Syrians, Greeks, and others—who followed the French army back home after Napoleon’s occupation of Egypt. 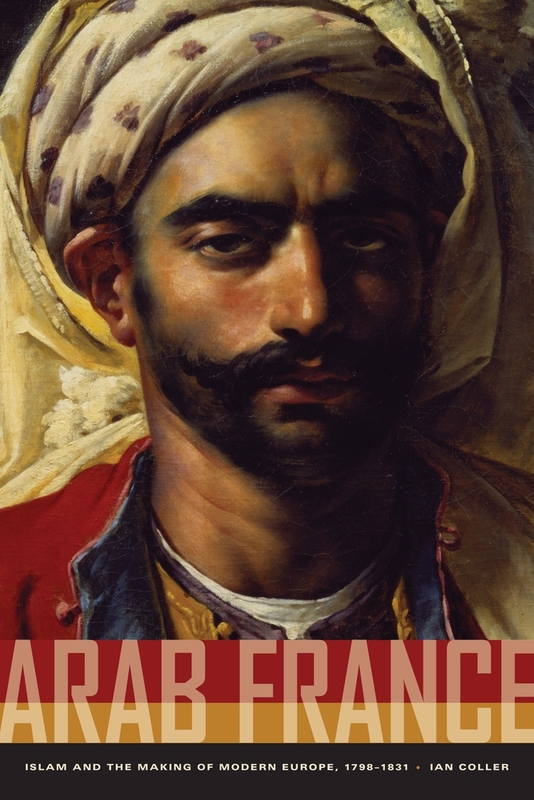 Based on research in neglected archives, on the rediscovery of forgotten Franco-Arab authors, and on a diverse collection of visual materials, the book builds a rich picture of the first Arab France—its birth, rise, and sudden decline in the age of colonial expansion. As he excavates a community that was nearly erased from the historical record, Coller offers a new account of France itself in this pivotal period, one that transcends the binary framework through which we too often view history by revealing the deep roots of exchange between Europe and the Muslim world, and showing how Arab France was in fact integral to the dawn of modernity. Ian Coller is a postdoctoral fellow at the School of Historical Studies at the University of Melbourne.